The Touken Ranbu Giga - a pamphlet of illustrations drawn by the official illustrators. ※Does not feature all official illustrators, or all Touken Danshi characters. This product will also be on sale at the event Comic Market 88, held from (Fri) Aug. 14 - 16, 2015. Please keep this in mind when placing your order, as we do not accept order cancellations. 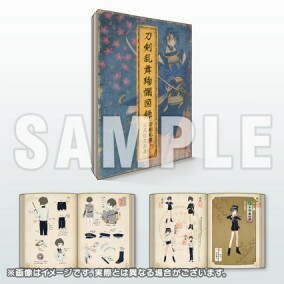 This product will not come with the A4 sized file folder bonus distributed at Comic Market 88.